AUGUST 31Th! 11AM EASTERN TIME! Creative Post Is Back Bigger And Better With More Features Your Customers Are Going To Enjoy! $17 Single And $27 Unlimited “With NO Upsells!”$2,000 Are Up For Grabs For Our TOP 10 Supporters Through Out The 7 Day Launch Period. 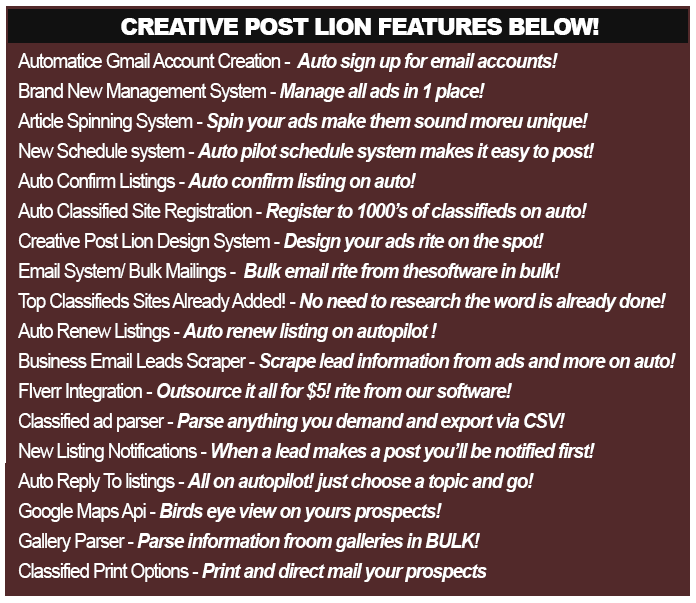 Pick Up Your Links NOW And We’ll See You On Board CREATIVE POST: LION! 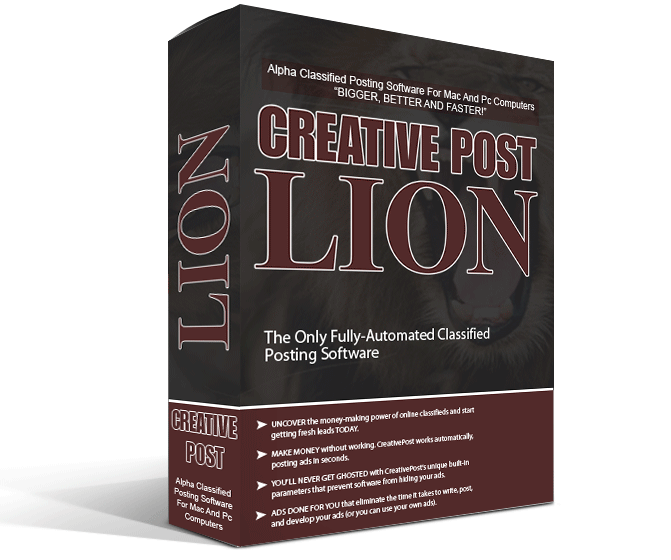 CREATIVE POST is the #1 posting software on the market today thanks to you!. Version #1 Sold over 2,000 + copies in just 3 days alone. LION is predicted to be EVEN BIGGER! And better, stocked with tons of features never seen before. We value our partners and it is essential that you fully understand the software inside and out before promoting. So please take a few minutes of your time to watch the demo above.